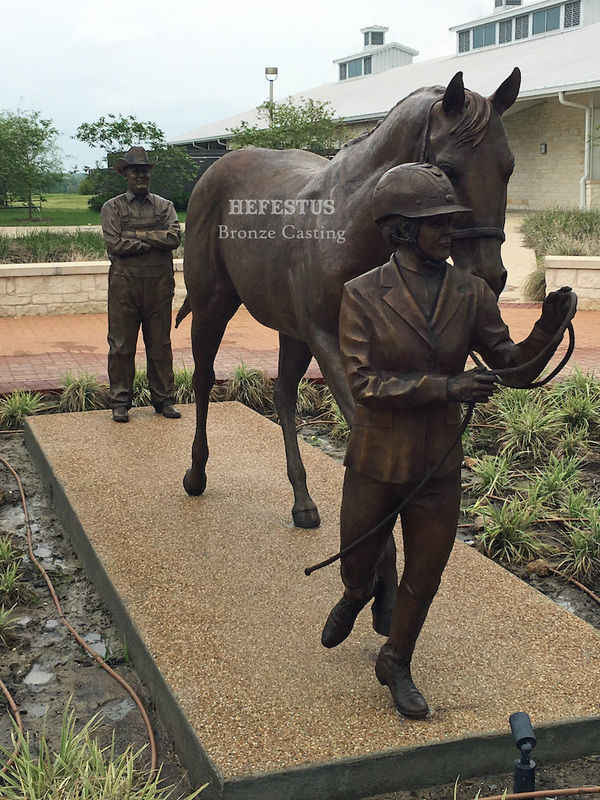 The Hildebrand Memorial sculpture was a commissioned bronze sculpted by Kelly Graham of Weatherford, TX and was placed in the Hildebrand Family Courtyard at Texas A&M in College Station. 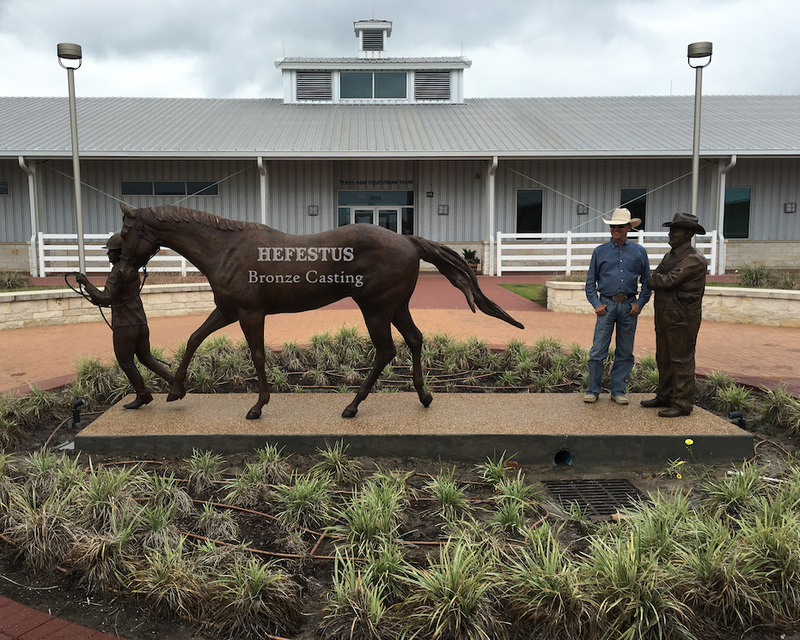 The memorial bronze encompasses 3 life-size figures, a horse, a rider (Hildebrand's granddaughter, and a vet (Dr.Thomas Hildebrand himself.) This piece was commissioned by Dr.Thomas Hildebrand's son, Jeff. To read more about this project click here. To view more of Kelly Graham's art click here.